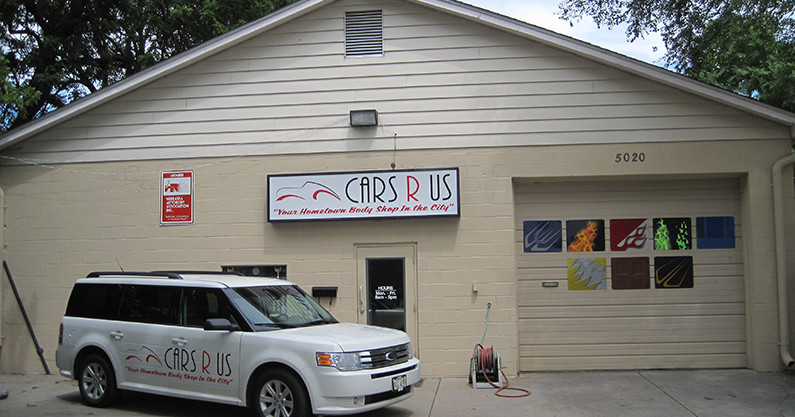 CARS R US, your friendly hometown auto body shop in the city of Omaha, Nebraska, puts forth the extra effort to ensure our customers’ cars are fixed and restored back to their pre-accident condition. At CARS R US, our auto body technicians are experienced craftsmen who have the ability to do more than change car parts. Our auto body technicians will fix all of the damage on your vehicle and restore it to its pre-accident condition. CARS R US works with all insurance companies to ensure our customers receive the best customer service possible. We are also able to offer non-insurance auto body repair work for customers who have older model cars or who are simply paying out of pocket. We know your main goal is to have your vehicle restored back to its pre-accident condition, and at CARS R US, we work diligently and efficiently to get you back on the road as soon as possible. Our customers continue to come back to us for all of their auto body repair needs because they know they will experience helpful customer service and a welcoming environment. We look forward to serving you.